Brand new to the Rush Winter Accessory Collection! 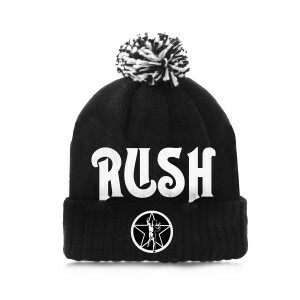 This fold-over style beanie features a knit Rush Original logo and starman patch. 100% Acrylic.